Apple Earrings Only $3.21 SHIPPED! You are here: Home / Great Deals / Amazon Deals / Apple Earrings Only $3.21 SHIPPED! 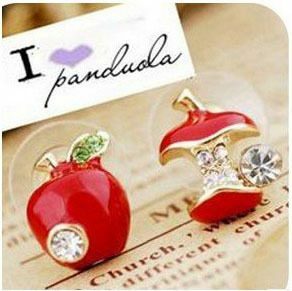 Check out these super cute earrings – these Apple Earrings are just $3.21 with FREE shipping! I love the crystals on these. So cute! These would be great for yourself or for a teacher that you know!